On the 6th and 7th April five cadets from 1145 Sqn headed down to the squadron to complete their bronze radio course. On the Saturday the course was taught by Flt Lt Hall and Sgt Pritchard and on the Sunday it was taken by two of the Sqn's cadet FS who helped with the voice procedures as these can prove to be stressful to perform, especially when you are being tested! The course would take two days of lessons and practical exercises, finishing with a theory exam and practical test. Both days were early starts to ensure that we would cover everything needed to successfully pass the final tests, as the pass mark was very high. Like any good course, w began with a quick recap of previous material to refresh our memories. This proved to be highly useful seeing as most of the bronze course consisted of the same subjects of the blue course, only in a lot more depth. Even though many of the cadets doubted if they would pass the two tests they had to sit in order to pass, all the cadets who attended scared brilliant marks and gained their bronze radio award and are looking forward to going on a silver radio course. Though it is great to have another qualification and another badge, we will soon be able to put these lessons into practice with increasing use of radio communication for co-ordinating events including deployed fieldcraft exercises and even running the communications at the Royal international Air Tattoo! From the 29th of March to the 5th of April, cadets went on a camp at Leuchars Station. We participated in lots of exciting activities such as climbing, flying, gliding, canoeing, leadership, radio, map reading, shooting, clay pigeon shooting, First Aid and sports. This packed camp had great opportunities, like meeting new people and doing things you wouldn't be able to do outside of the cadets. Only 4 people got to go gliding and it was a very good experience and i came back with my blue wings. when the gliders land you have to run after it so that the wings do not get damaged, this was also a great experience. overall this camp was really good and i would recommend going if given the chance! CPL John Neville represented the squadron at the Bronze Leadership Course, exploring and developing the skills and qualities that make an effective leader. The course explored how best to balance the different aspects of functional leadership; the team, the task and the individual. The cadets learned about how to structure their teams to effectively achieved the task through the acronym P.I.C.S.I.E. On the final day, the cadets were assessed on their understanding of what they've learned over the past weekend. A big well done to the 20 cadets who earned their Bronze leadership badge including CPL John Neville. The course was enjoyed by all and we wish the best of luck to all the new cadets who have achieved their bronze leadership. 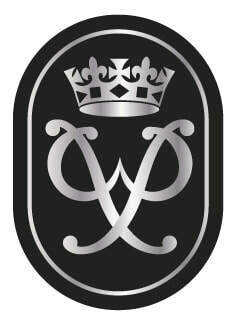 On the 16th and 17th of February 7 of our cadets attended a two day non residential YFA . They learned a variety of skills including how to treat shock, how to successfully use bandages, how to treat an open wound, what to do when someone is having a heart attack and Dr's ABC. 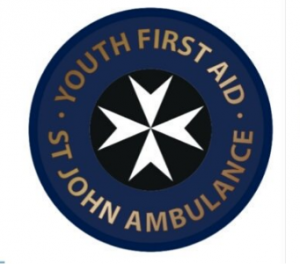 At the end of the course all the cadets were tested on what they had learned and all cadets from 1145 Sqn passed, earning themselves a Youth First Aid badge and certificate. ​More importantly, they all have learned the simple skills which really do save lives! ​All of the cadets had lots of fun and can't wait till they are old enough to attend Activity First Aid. Centre pitch at international rugby - no biggie if you're a cadet! Cadets and staff from 1145 Sqn attended both the Scotland vs Italy and the Scotland vs Ireland match, at the Murray Field stadium in Edinburgh. They assisted with the on pitch national flag during the opening ceremonies and national anthems. On the morning of the game, they were split into groups and assigned flags. Rehearsals took up most of the morning as it was extremely important that everyone knew exactly what they were doing. When the cadets went out to the pitch to display the flags they were excited but anxious as the crowd was very large. On both days the displays went perfectly well, making the cadets very proud of themselves. They did so well, they have been invited back on the 9th March to help with the flags once again! The cadets are all looking forward to the event after really enjoying the first two events. On the 27th January Sgt Clough and Cdt Brown attended the Inter-Wing Swimming Competition to represent South East Scotland, held at Deans High School in Livingston. There were 4 categories; junior boys, junior girls, senior boys and senior girls. Each Wing could put one team/person per category into each event which were freestyle, breaststroke, backstroke, butterfly, individual medley, relay medley and relay freestyle. Sgt Clough entered the relay freestyle senior boys and placed 3rd whilst Cdt Brown entered the individual butterfly junior girls and the relay freestyle junior girls, placing 3rd in both. Sgt Clough also entered the relay freestyle senior boys and placed 3rd. Neither Sgt Clough or Cdt Brown made the regional team but still represented the wing well and helped South East Scotland come 2nd place. Well done to West Scotland Wing came 1st place. Many of our wing team managed to get on to the regional team which will be going down to England to compete at the end of February. Both Sgt Clough and Cdt Brown enjoyed the event and are looking forward to the Inter-Squadron Swimming Competition later in the year. On the 26 of October a group of cadets from our squadron went to Muddy Boots farm and their Halloween event the Fright Farm. I wanted to go on this event as i like scare nights and it seemed like a lot of fun. 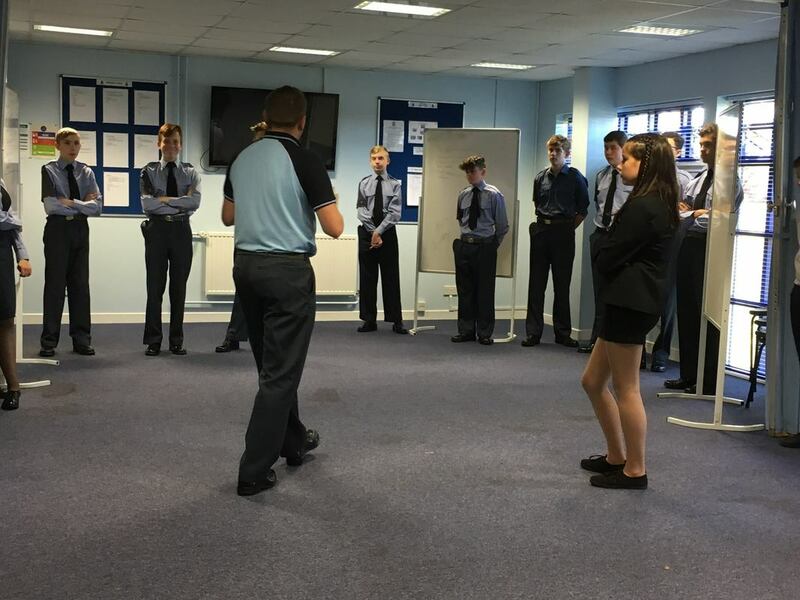 On the 10th of September, the squadron hosted a rank auction, where all the cadets were able to bid for a rank. The cadets would hold the rank they bought for the night, with all the benefits and responsibilities going with it. All money raised from the event went to the RAF 100 charities. Everyone enjoyed the night, those who bought ranks especially, but they also found a new appreciation for what NCOs contribute to the squadron. on the 30th of October, Cpl Solway, Cpl Clough, Cdt McKenzie, Cdt Hynd and Cdt Tallis all participated in the inter-sqn cross country competition. Cpl's Solway and Clough and Cdt McKenzie ran a 5K course and cdt's Hynd and Tallis ran a course just short of 5K. The cadets had an overall good day and thoroughly enjoyed themselves. All cadets done very well in their categories, especially Cpl Solway who came 1st place in the junior women category and cdt McKenzie who came 2nd in the junior women category. They will both now go forward to represent wing in the beginning of the new year. Congratulations to 1145 for their achievements over the weekend which included; Foot Drill-2nd, Uniform Inspection-2nd, Best Drill Coordinator CWO Rae-2nd, Public Relations-1st, Aeromodelling Sgt Noble-1st Diorama, Sgt Turner-1st + 2nd Adult Staff. We also got Photography-2nd + 3rd. Additionally, a big congratulations and good luck to 2535 (Livingston) Squadron who won the drill and will go forward to the Regional competition in a few weeks time. The competition was held at MOD Caledonia, from morning to afternoon. the overall standards throughout were immaculate by all squadrons attending. Once again congratulations to 1145 and everyone else attending that day. 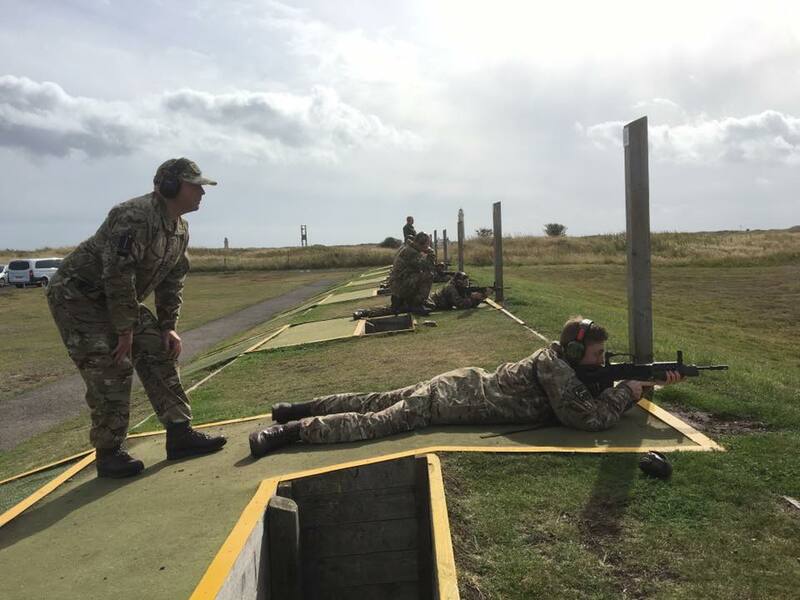 On the 11th of August, Cpl Clough traveled to Barry Buddon to participate in an L98 range day. The aim of the day was to get cadets progressing through their CLFs, earning them badges and helping them become more experienced with the rifle. Cpl Clough achieved both his CLF 1 and 2, but didn't quite achieve the 3rd, meaning he is not eligible for a silver trained shot badge. However, he is eager to give it another try and cannot wait for the next range day on the 15th of September. On Monday the 6th of August the squadron was given a talk by a Cpl from the armed forces recruitment centre, they were split into teams for the 1st half and asked questions like, what is the role of the RAF? What's the process for joining it like? The corporal helped explain the many varying roles of the RAF as well as telling them about a previous cadet who signed up as a regiment gunner. He also told them about the exciting opportunities that awaited as well as tempting them with a guarantee of 2 years of employment if they pass there tests and interview. Overall, from this the cadets of 1145 went away with new found opportunities as well as help given for them to know what to expect and what to do if they sign up. On the 28th May 8 cadets were chosen to participate in kayaking for the evening. The following chosen were Sgt Black, Sgt Scott, Cpl Lawrence, Cpl Solway and Cadets Grieve, Penman, McKenzie, Neville and Mathieson. The activity was ran by Sqn Ldr Barry McAdam in Ratho. We all wanted to attend as this is something new for us since we are new to this. From the evening we have built up teamwork skills as well as a confidence boost. During our kayaking, we learned how to do forward and backward strokes and techniques on how to slow down and spin. There was also a match of rugby in the water and a game where we change kayaks withought falling into the water. Overall, we all enjoyed this activity and will all be wanting to attend it again.